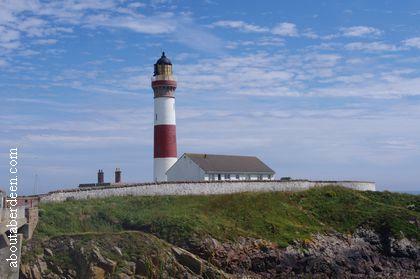 The Aberdeenshire coast still boasts some of the most beautiful lighthouses in Scotland. The picturesque Rattray Head Lighthouse which is set within the sea and has its own causeway is the most atmospheric lighthouse in Aberdeenshire. 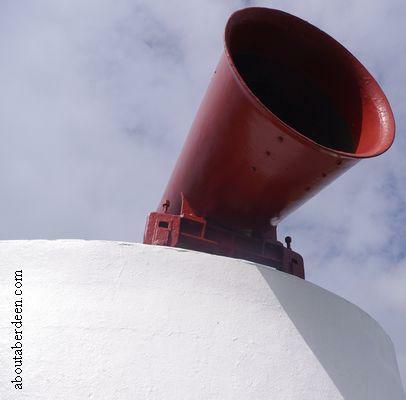 Though they are now all automated and have no permanent lighthouse keepers the lighthouses of Aberdeen and Aberdeenshire are accessible to look around from the exterior. This includes the Boddam Lighthouse whose photo is above which has a lovely walk all the way around and is used as holiday accommodation. 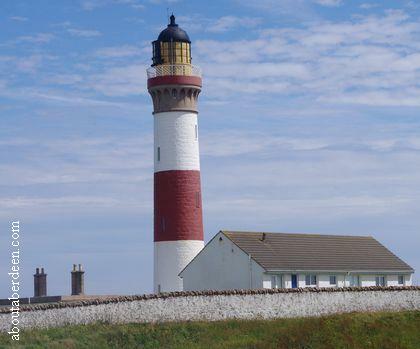 Other Aberdeenshire lighthouses which uses the former lighthouse keepers cottages as holiday accommodation include Todhead Lighthouse near Stonehaven. 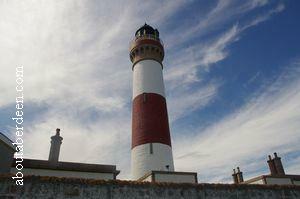 Though the Aberdeen Girdleness Lighthouse is located next to a busy road it is possible to view the outside and enjoy a coastal walk. 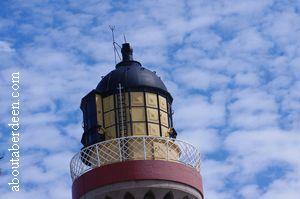 In Fraserburgh visitors to the Kinnaird Head Lighthouse can go inside the buildings and climb to the top of the lighthouse tower with a former lighthouse keeper. 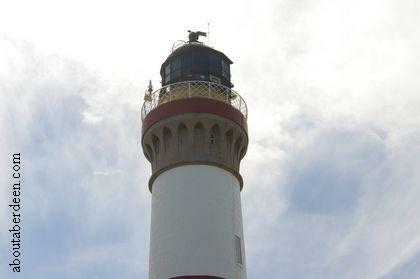 There is also a disabled access museum at this Scottish Lighthouse Museum and the Maritime Museum in Aberdeen also looks at the history of Aberdeen lighthouses.